Limited Edition Swampy Green vinyl! Comes with download code and cool insert! If you want both CD and LP, there is a CD/LP combo choice on the front page of the site. You'll save $2! 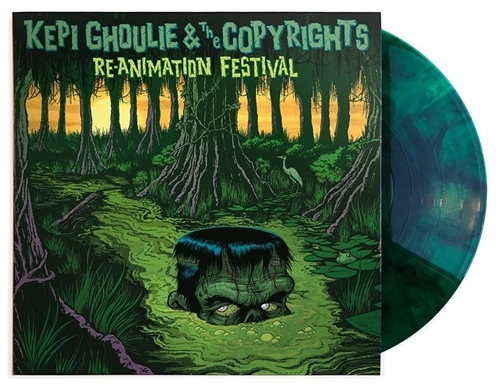 Kepi Ghoulie has teamed up with The Copyrights to re-imagine "Re-Animation Festival", the classic Groovie Ghoulies album featuring fan favorites like "Graveyard Girlfriend" and "Tunnel of Love". Bonus backing vocals by Dog Party and awesome artwork by Tom Neely!